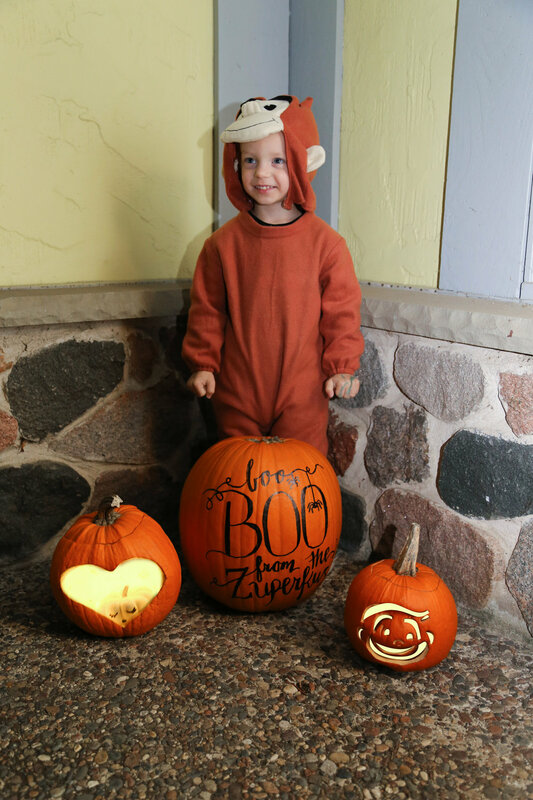 The Curious George show often plays in our house more than once a day, so it was no surprise that when I asked Zander what he wanted to be for Halloween - he picked George! It was so cute, I showed him some costumes of his other fave shows (mickey mouse, pjmasks and cars) and he kept saying George. And what's even better is I had bought it last year because it was $10 on sale after Halloween just because he liked George at the time! Way to go mama! This year he participated in 2 trick-or-treat sessions and loved every minute of it! He would quietly say "Trick-or-Treat" when he walked up and then quietly said, "Thank you" on his way out. I'm not even sure the people could hear him but it was so sweet to see his manners developing! 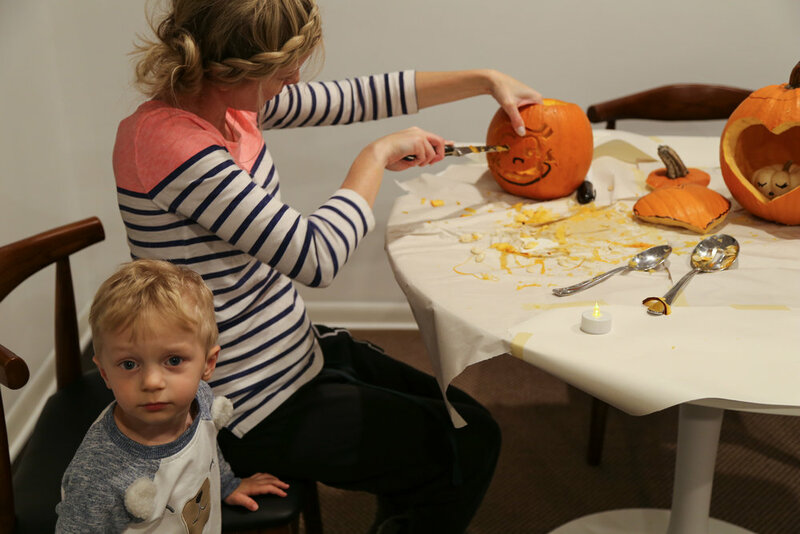 it's funny to note that both my boys dislike taking out the seeds of the pumpkin and carving them. So while I did the dirty work they played. Above his Zander not happy about the pumpkin top I made him hold with the seeds still attached! ha!